NextThe Coronation of Napoleon I, Emperor of the French. 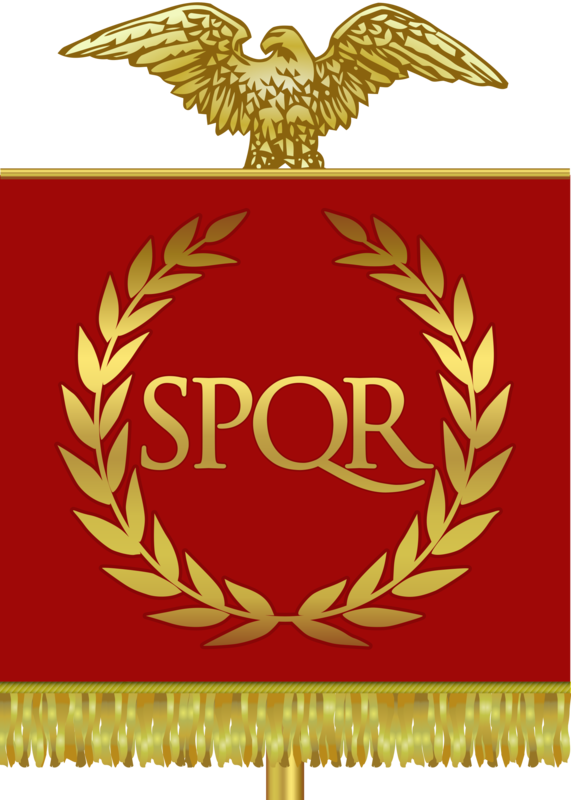 Reminiscent of the days of Rome, Napoleon’s armies, like Rome’s legions, carried the eagle as a symbol of French Imperial power. Sitting on top of a regimental staff the standard bearer was required to hoist and guard the eagle with their life! To lose the regimental eagle in battle was considered shameful. Attempts to retrieve it were surely made, in the end it could always be replaced by another. 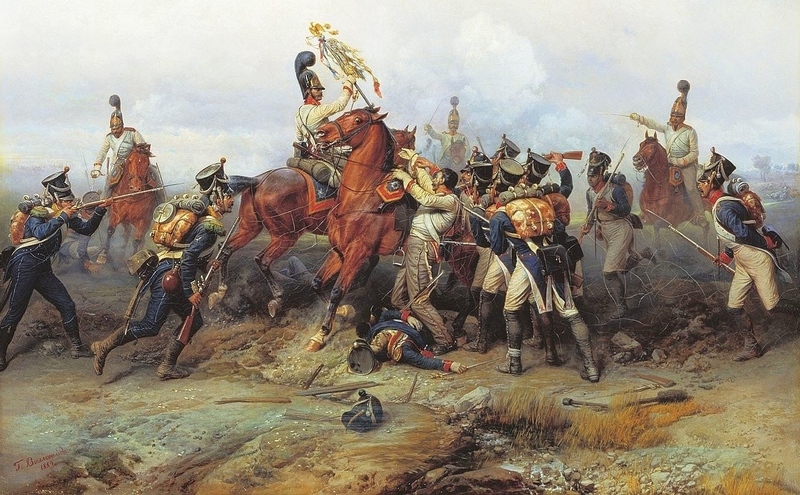 One of the most celebrated losses of the Imperial eagle came at Waterloo in 1815, but the first occasion of an eagle being taken in battle was reported during the Battle of Austerlitz in 1805. A painting by Bogdan Willewalde (1884) that illustrates the capture of a French regiment’s eagle by the cavalry of the Russian guard at the Battle of Austerlitz. Only a very small number of the origianl staff eagles exist today. Upon Napoleon’s first demise and exile on the Island of Elba, the restored monarch Louis XVIII of France destroyed almost all the eagles. Another version of the eagle was once again produced during Napoleon’s 100 days. But after the battle of Waterloo, many eagles were once more destroyed. One of Napoleon’s gold Imperial eagle standards in the throne room at Fontainebleau. Introduced by Napoleon in 1804, days after his coronation, they were originally sculptured in bronze on a plinth, with one claw resting on Jupiter’s spindle. On its base, a regimental number was also present. It is believed that Napoleon himself, dreamt up the idea of the eagle for his Grande Armée to use. He was inspired very much by the symbolism of the Romans. Photo Credit: The header image is ‘The distribution of the Eagle Standards’, Jacques Loius David, 1810. The image of the Fontainbleau eagle by flickr user Neil Rickards is licensed and used under the Creative Commons Attribution 2.0 license. That was really interesting, thanks. I didn’t realise that the eagles had mostly been destroyed.